I was given some Saskatchewan Honey recently, isn’t this just the cutest little jar you ever did see?! 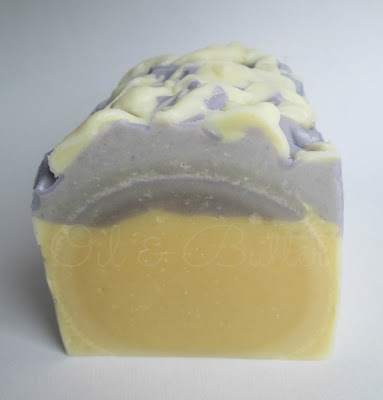 I didn’t actually put any lavender in the soap, but the fragrance is lavender. By the way, has anyone ever tried lavender honey? 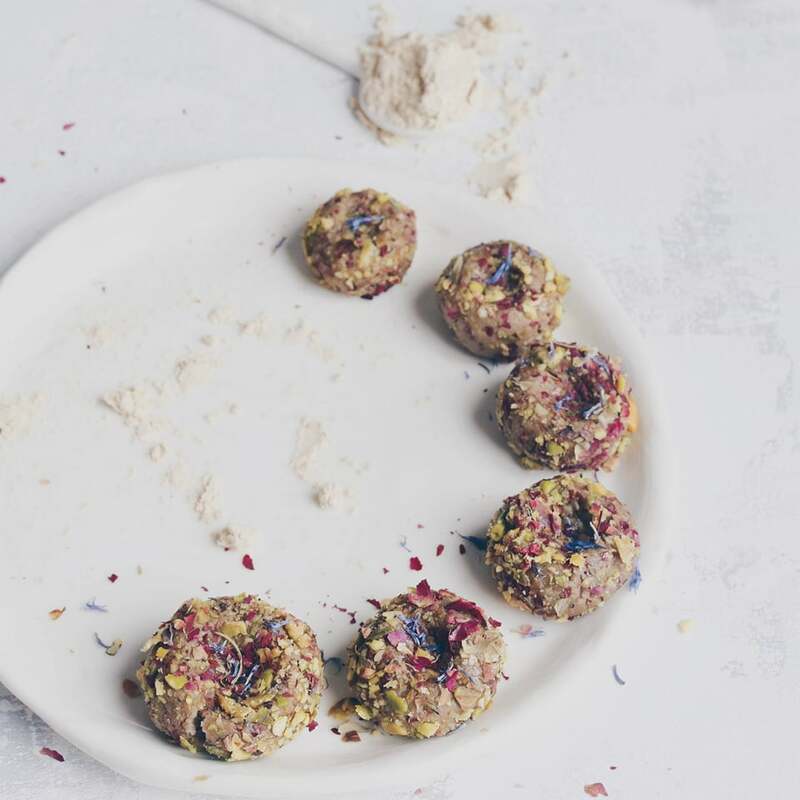 I tried a lavender truffle once and it was…interesting. I’ve never tried flavored honey, but I hear you can get honey in all kinds of flavors…apparently I’ve been living under a rock! The partial gel wouldn’t be so bad, but putting the soap in the freezer also caused the soap to be crumbly and kind of spotty. I’ve noticed that putting soaps in my freezer tends to do that, I’ll have to remember to avoid putting them in the freezer if possible. However, not to be deterred, I set about to make another batch. LOVED this challenge and I learned a lot about combining colors to get the gradients, Amy’s tutorial and instructions were super helpful and easy to follow. Can’t wait to cut this one to reveal the colourful inside! Is anyone else taking part in this month's challenge? Oh no! You have been visited by soap gremlins. I hope they moved somewhere else before you made the gradient soap. What happened to the muffin? Did it also overheat? 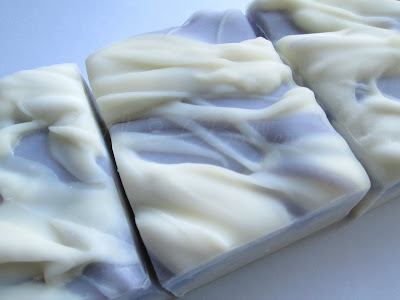 The Lavender Honeyless soap is very beautiful. I would give one bar of both soaps to the person that gave you the honey. That's a great idea, maybe I'll give her one bar of each. I'm not sure what happened to the cupcake, it either overheated or cooled from the outside too rapidly. There is also a line on the inside of the silicone cupcake mold, right where it split. 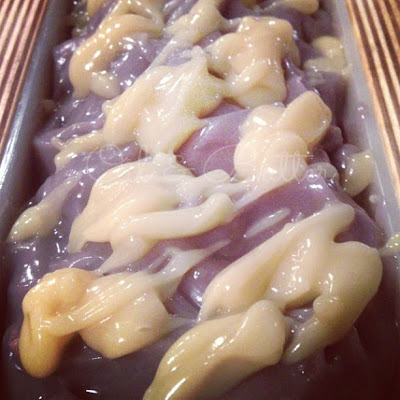 I am a big fan of lavender honey, but haven't tried yet in soap, maybe next time, thanks for the idea, Cee! 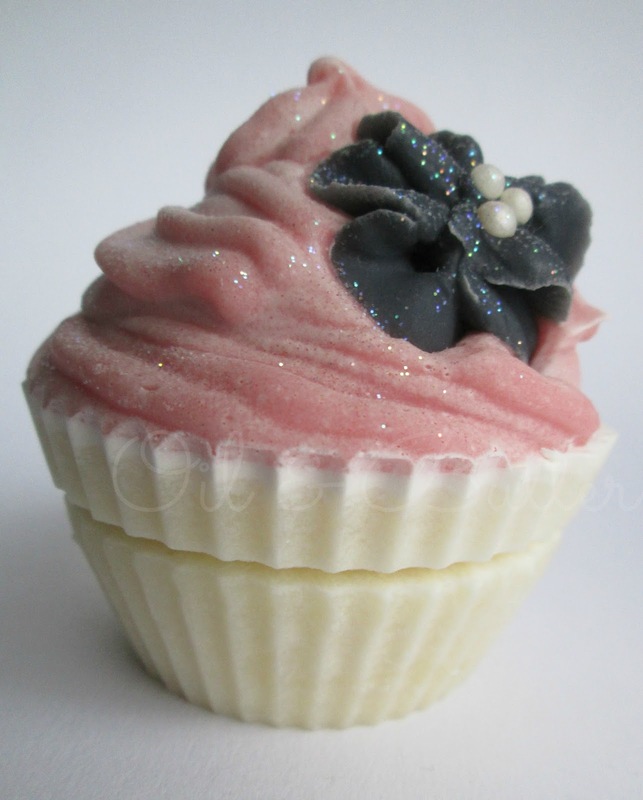 Your cupcake soap is so cute, and your challenge soap looks gorgeous, can't wait to see it cut! 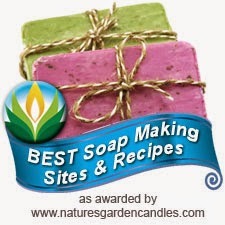 Thanks Nat, lavender honey would be very nice to try in soap! Oh Cee! Your day sounds like some of mine!! 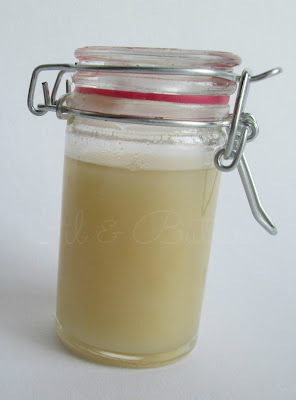 I just had my first freezer soap form a partial gel and was so disappointed....it was a lovely smelling Chia Tea, on the other hand my son will love it! I think I soapped at to high a temp....what temp was your soap when you mixed? 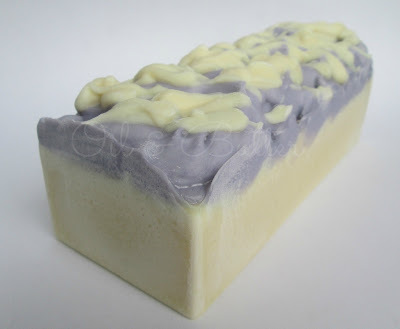 The lavender soap in the bar mold is beautiful, do you cover it? Hope your challenge soap turns out awesome! Hi Gloria, I actually did a little research after my partial gel and discovered that apparently you can put your soap in the oven (as if you were CPOPing), even afterwards, to force a full gel...so just something to keep in mind if that happens again. 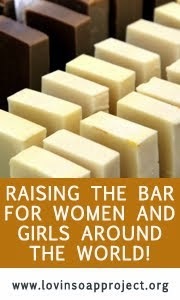 I'm so sorry that happened with your Chai Tea soap, but I know your son will love it. 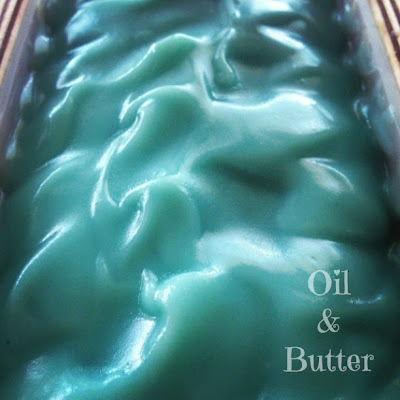 I soap with RT oils and warm lye, so I'm not sure of the exact temp. I think part of my problem was that I heated the honey/water solution to help it mix better into the soap batter, but I think I heated it a bit too much. 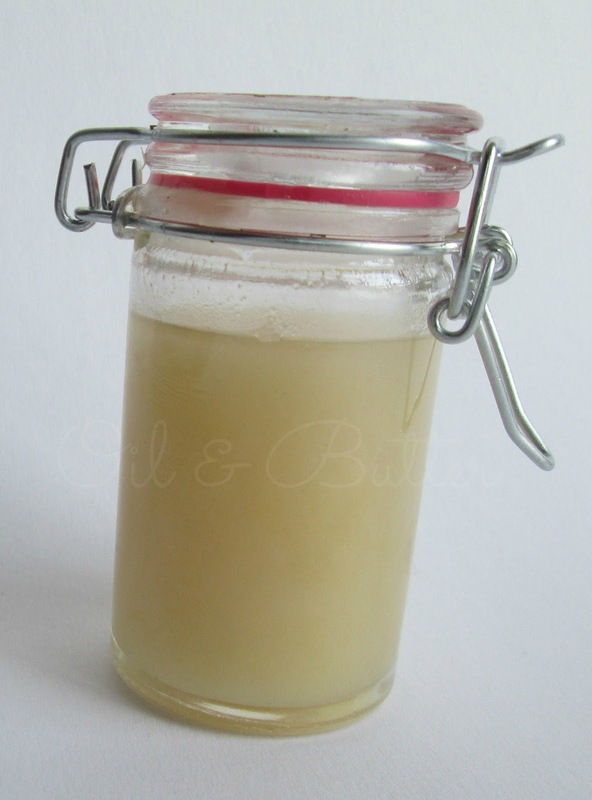 As soon as the honey hit the soap it turned darker, like it was gelling in the pot. And no, I don't cover my soaps...I just spritz occasionally with rubbing alcohol to keep the ash away. Have a great rest of your weekend! I love the jar and I love your soaps! I think that's what I really admire about you CP soapers is you can look at food and think how can I soap with it. I look at food and think what's the best way to get it into my stomach. I don't think I've had lavendar honey, but last Christmas I picked up a jar of pumpkin honey and a jar of blueberry raspberry honey. Both are very tasty although I guess they add those flavours into the honey after the fact. Your lavendar honey jam is beautiful, I don't see anything wrong with it, and I'm sure the recipient of your soap wouldn't either. LOL about the lavendar honey-less jam, it's gorgeous and that's what counts. Plus all your soaps are fantastic no matter what you put in or leave out. Some days you (and by you I mean me) have to learn to give up for the day and try something else. Your challenge soap looks amazing, can't wait to see the rest of the layers. Mmmm, pumpkin honey and blueberry raspberry honey would be so delish! What great combinations. Hmmmm, I think these specks could be related to honey! I've had this happening with honey soaps, but not really sure whether not putting the soap into the fridge (or freezer, would make any difference. This could be worth of trying. The second one looks gorgeous and so as this cupcake. I've seen this pic and I felt almost like crying, because it's such a delicacy! The last one is sooooo good,I love the colour, can't wait to see it unmould and cut! Thanks Maja, I felt like crying too...hopefully it's just one of those weird things that never happens again! They are all beautiful Cee! Even the one with the partial gel..and I did not know you can put it in the oven after to force a gel. That's good to know. I can't wait to see your gradient soap! I didn't know you could get honey in different flavors either...apparently I've been living under a rock too! Sorry about the partial gel..hopefully it'll fade out more, you think? The Lavender Honeyless soap (that was cute, lol) is so pretty and delicate-looking. I like how you dropped or splatted (real technical word there) the white on top...kind of reminds me of a pastry. Can't wait to see the gradient soap cut..that color is so pretty! Your soap is beautiful in spite of the partial gel...then to redo and forget the honey is totally something I would do...but yet again another soap beauty. Sorry to hear that you had some problems with your recent soap batches, Cee! The lavender honey soap should still be lovely to use, though. I'm a big fan of honey in soap and food. I've never tried lavender honey before, although I meant to buy some at the farmer's market one day. I was doing the big walk-around, deciding what to buy, and forgot to go back for it. (Sigh.) I haven't seen it at the market again yet. I'll have to keep my eye out the next time I go! Can't wait to see your challenge soap cut! Thanks Jenny, I guess it was my turn to host the soap gremlins for a while :) Hope you find your lavender honey again, that totally sounds like something I would do...it's easy to get distracted with so many things going on!